The official memorial with the names of the 73 fallen soldiers visible inside the pool. 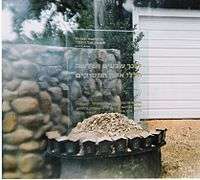 Monument at the crash site in She'ar Yashuv (not the main memorial). The 1997 Israeli helicopter disaster occurred on 4 February 1997, when two Israeli Air Force transport helicopters ferrying Israeli soldiers into Israel's "security zone" in southern Lebanon collided in mid-air, killing all 73 Israeli military personnel on board. The crash brought about widespread national mourning, and is considered a leading factor in its decision to withdraw from southern Lebanon in 2000. Following the 1982 Lebanon War, Israel had withdrawn to a "security zone" in southern Lebanon, where it faced an insurgency by Hezbollah and other Lebanese groups. Israel had originally moved troops by ground, but this policy was changed as the threat of roadside bombs increased. As a result, Israel increasingly began ferrying soldiers by air into southern Lebanon. Two Sikorsky S-65C-3 Yas'ur 2000 helicopters, 357 and 903, were assigned on a mission to fly Israeli soldiers into southern Lebanon, originally scheduled for February 3, but pushed up a day due to bad weather conditions. On February 4, the weather conditions were still poor for flying due to fog, but in the afternoon visibility improved, and the mission was allowed to go forward. The two helicopters took off from Tel Nof Airbase and flew to Rosh Pina Airport, from where they collected the troops. One helicopter, numbered 903, was designated to fly to the "Pumpkin" Outpost, east of Nabatiyeh, and had four crew and 32 passengers on board. The second helicopter, 357, was to fly to an Israeli position at Beaufort Castle, and had four crew and 33 passengers on board. At 6:48 PM, after final approval was given and the soldiers had been briefed, both helicopters were cleared to take off. A minute after takeoff, the captain of helicopter 903 requested permission from air traffic control to cross the border into Lebanon, but permission was delayed, and the helicopters ended up hovering until 6:56 PM, when a controller confirmed that they had permission to cross. Three minutes later, the helicopters disappeared from radar. The two helicopters collided over She'ar Yashuv in northern Israel. 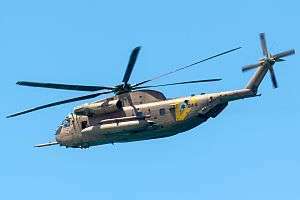 An Israeli investigation concluded that the rotor of helicopter 357 had struck the tail of helicopter 903. Helicopter 357 immediately crashed, while the crew of helicopter 903 attempted to take control of it, but failed, and it crashed as well. The crash brought about widespread national grieving. 6 February was declared an official day of mourning. Flags were flown at half-mast, restaurants and cinemas closed, the Knesset observed a minute of silence, and the names of the dead were read out at the beginning of every news bulletin on television and radio. Bodies were brought to the Reading Funeral Home in Tel Aviv for identification, and the funerals took place on February 5, with Prime Minister Benjamin Netanyahu and President Ezer Weizman attending funerals and visited the grieving families. In addition, thousands of Israelis went to pray at the Western Wall and assemblies were held at schools nationwide. A commission headed by David Ivry was set up to investigate the cause of the collision, the deadliest air disaster in Israeli history. The committee finished its investigation in mid-April of the same year. The disaster sparked renewed debate about Israel's occupation of southern Lebanon. Later that year, the Four Mothers, an anti-war protest movement dedicated to pressing for an Israeli withdrawal from southern Lebanon, was founded. This event is seen as a catalyst for Israel's withdrawal from the security zone in Lebanon in 2000. A memorial to the 73 dead IDF soldiers was created near the crash site next to the cemetery of Kibbutz Dafna. It was inaugurated in 2008. The memorial consists of a number of elements, the most visible being 73 stones erected around a round pool to which water is directed through a channel. The 73 names are written on black blocks placed under the water of the pool. The monument was designed by architect Shlomit Shlomo, landscape architects Haim Cohen and Gilad Sharon, sculptor Rami Feldstein; sculptor Dani Caravan acted as an adviser for the project. Segal, Naomi. "Pilot error may be cause of horrific helicopter crash", Jewish Telegraphic Agency, 14 February 1997. Accessed 11 June 2006. Segal, Naomi. "Discipline recommended in copter crash that killed 73", Jewish Telegraphic Agency, 25 April 1997. Accessed 11 June 2006. ↑ Eisenberg, Laura Zittrain (September 1997). "Israel's Lebanon Policy". Middle East Review of International Affairs. 1 (3). Retrieved 2011-02-23. ↑ Rachel S. Harris and Ranen Omer-Sherman (editors) (2012). Narratives of Dissent: War in Contemporary Israeli Arts and Culture. Detroit: Wayne State University Press. pp. 49–55. ISBN 9780814338032. Retrieved 30 January 2016. Wikimedia Commons has media related to 1997 Israeli helicopter disaster monument. "Military helicopters collide in Israel, killing scores", CNN, 4 February 1997. Accessed 11 June 2006.
" The Israeli Helicopter Crash- Reactions in Lebanon", News at Lebanon, 5 February 1997. Accessed 11 June 2006.